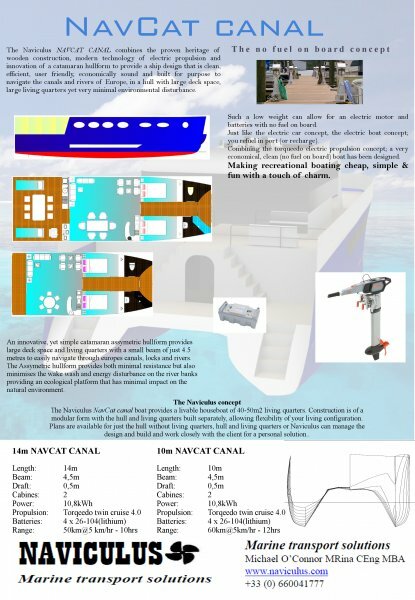 The boats have been designed to meet dimensional restrictions of the french canal waterways, however the design can be easily adapted to other inland waterway requirements. The two principle designs are 10m & 14m long, offering a very luxurious boat with 40-50m2 main deck space. Construction material (marine plywood/softwood) and method (stitch & glue fiberglass) is however simple allowing low cost & ease of construction. Designs are available with all construction plans, or kits can be ordered with all hull frames & plates pre-cut.